WELCOME TO WE LIKE TO PARTY! Party Hire, Party Supplies, Helium Balloons, Gift Balloon Bouquets, Balloon Decorating, Online Party Shop – you name it We Like To Party! can do it. With over 15 years experience in everything party related, we can help you make your occasion memorable!. We Like To Party! are Western Australian owned and operated and have helped thousands of customers plan their parties, special occasions and events. We are passionate about our business and love what we do. We are active members of the community, supporting businesses, schools and fundraising events where we can including Cupcake Day, Breast Cancer and Telethon to name a few. We are dedicated members of the Balloon Industry, founders of the Association of Party Professionals Inc (APPWA) , member of Beeliar Regional Chamber of Commerce (BRCC) and members of the Pro Environment Balloon Alliance (PEBA). We regularly attend meetings, training days and conventions both locally, interstate and internationally with other balloon professionals to learn from each other and maintain a high standard of design and customer service in our industry. In 2012, one of our owners John Brew received his internationally recognised qualification of a Certified Balloon Artist (CBA) in balloon design which is the highest award in the balloon industry after undertaking both written and practical exams in Dallas, Texas, USA. Both owners have attended the World Balloon Convention in 2012 in Dallas Texas USA and again in Denver Colorado USA in 2014. In 2009 & 2012 they attended the Australasian Balloon Convention in Melbourne and the Titanic Centenary Launch in Adelaide, learning and sharing experiences and designs with balloon professionals from all over Australia and New Zealand. In 2015 & 2018 they were also involved with Ozjam, a balloon event focusing on balloon decor and twisting. Although we have a physical store in Jandakot we only have our balloons on display in our showroom. All our party supplies and decorations are available in our online store so you can shop easily from home 24 hours, 7 days a week. 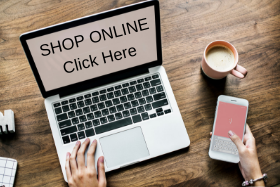 You can either click and collect after three hours or pay a standard flat fee and have it delivered straight to your door. At We Like To Party! we specialise in providing a wide range of affordable party hire equipment for a wide range of events. We’re focused on providing everything you need, anywhere you need it. If you don’t see the supplies needed for your party on our website, or need help figuring out what you will need, please give us a call. Whether you need some extra chairs and tables, outdoor heating for chilly days, a jukebox to rock the night away or a slushie machine we can assist. We service metropolitan Perth suburbs and no event is too large or small. We understand how organising a party can be a huge task. Getting the furniture, glasses and crockery ready to make all the guests feel as comfortable as you want them to, can bring great distress for the host. We Like To Party! are 100% reliable, deliver on time and have a full back up service. We Like To Party! specialise in helium balloons, balloon bouquets, confetti balloons, organic balloon garlands and balloon decorating. We take a lot of pride in providing customers with not only the best quality balloons available in the world but guaranteed professional service. Our shop is filled with balloons of all styles and we have the first Qualatex Foil Balloon Wall in Western Australia. To compliment our wall we also have a huge range of latex balloons plain and prints so we can cover any event. Did you know that We Like To Party! also offers a balloon gift delivery service in the Perth Metropolitan Area. We have balloons for every occasion. Whether you want to send a balloon bouquet as a gift for someone’s birthday, or say congratulations on a new baby, let someone know you’re thinking of them , passing their exams or any other good news, our balloons are sure to put a smile on their face! If you need Party Supplies and Decorations our Online Party Store is the place to go. We have plates, napkins, cups, cutlery in our Plain Plastic Tableware section and a massive range of special themes including Baby Shower, Casino, Luau, Mexican, Hollywood, Western. Our store also stocks Children’s Themes like Disney Frozen, Peppa Pig, Thomas The Tank and so much more. 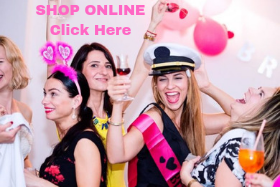 Our Online Party Store also specialises in the largest range of hens party decorations and novelties in Western Australia after acquiring stock from two other companies who no longer exist. So many items to choose from including sashes, tiaras, novelty straws, napkins, badges, too many to name. Our online store services Perth and Australia. New stock added every day. Please contact us today on (08)9414-9999 during our shop hours, come to our store so we can discuss your party needs and make your event awesome or shop online from the comfort of your home. Our store is located at Unit 2, 130 Cutler Road Jandakot WA 6164. We Like To Party! 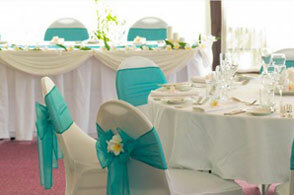 has a wide range of party hire essentials at a great price, and service to match. Chairs, Tables, Cutlery, Crockery, Red Carpet, Disco Lights and much more is available for hire. View our party hire page for our range. Look no further than We Like To Party! for the best Balloon Bouquets and Balloon Decorating in Perth. 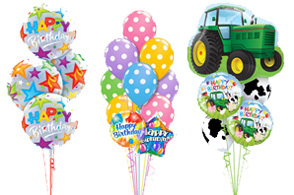 Choose from our HUGE range of Balloons for every occasion, all customised to your needs. View our Balloon Decor page. We have a range of Jukebox Hire and Slushie Machine Hire options including Digital & CD Jukeboxes, 2 & 3 flavour Slushie Machines, with Alcoholic & Non-Alcoholic options. 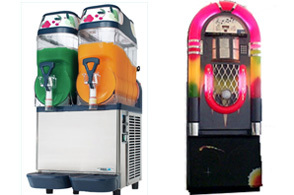 View our Jukeboxes & Slushy Machines. Our Online Party Supplies Shop stocks a wide range of products to suit any occasion. From Birthday Decorations to Themed Children’s Partyware, Tableware, Seasonal Decorations and Party supplies for Special Occasions, we have something for everyone. Stock added daily. Shop our hens party supplies online store for our full range of decorations to give the Bride To Be a day to remember. Click and collect or flat rate delivery available. Whatever your party hire and balloon decorating needs, We Like To Party! have the solution. Contact Us today.